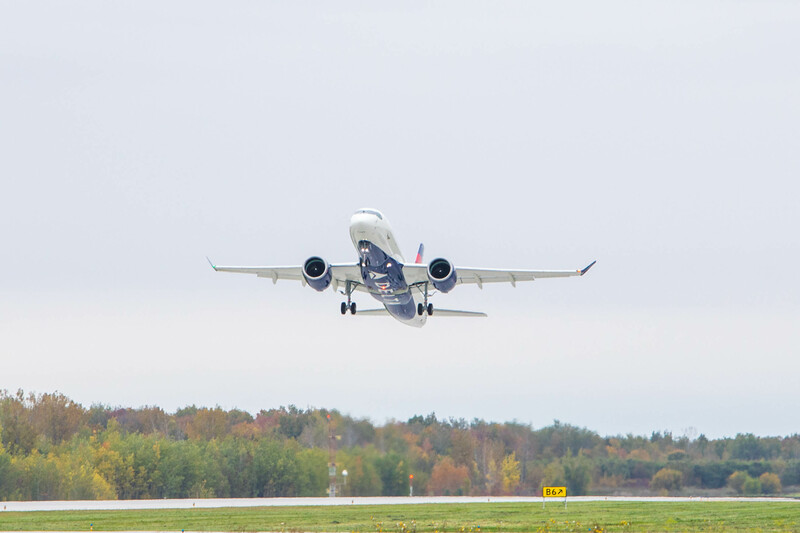 Delta Air Lines’ first Airbus A220-100 took off on its first flight from Mirabel Airport, Québec, at 2:02 p.m. local time (below). The aircraft was crewed by A220 program test pilots. During successful 3-hour flight, the crew checked the aircraft’s main systems and landed back in Mirabel at 4:57 p.m. 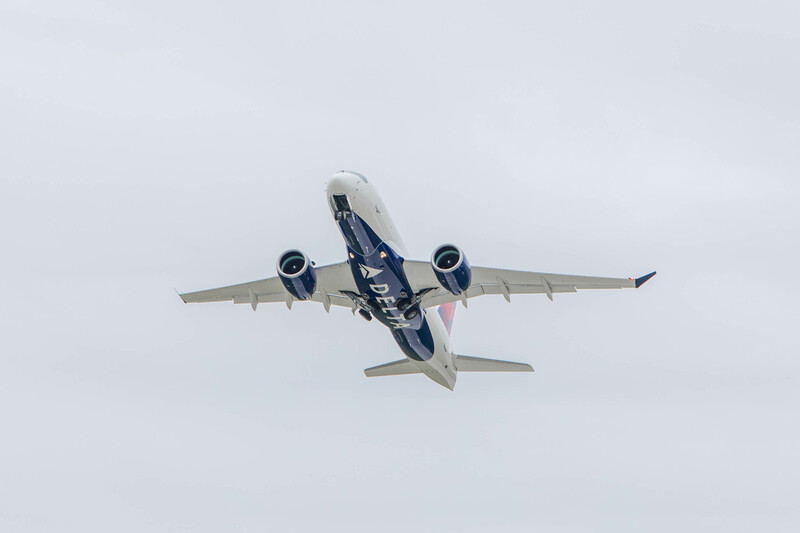 This entry was posted in Delta Air Lines and tagged Airbus A220-100, Delta Air Lines on October 6, 2018 by Bruce Drum.